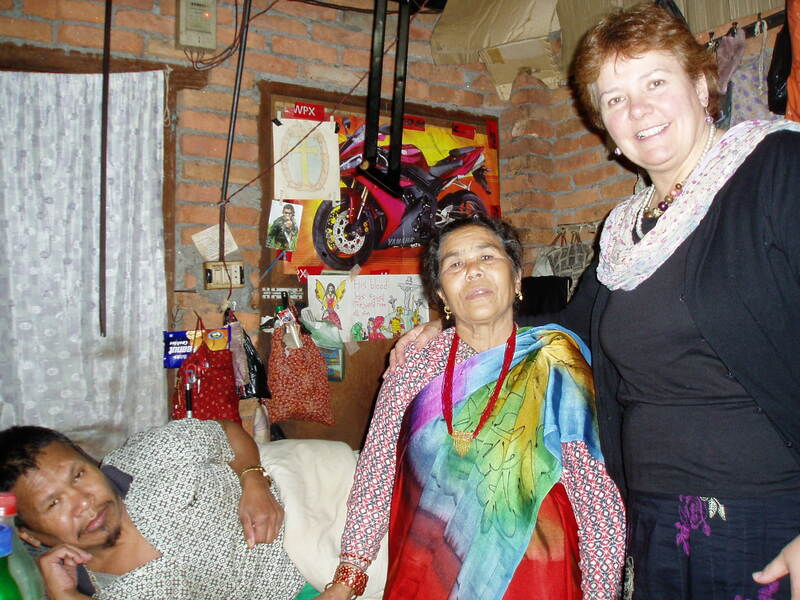 I recently had the privilege & pleasure of spending a few days in Kathmandu with Women Without Roofs. I am a practice nurse & had planned a trip to Nepal to spend 2 weeks in the mountains with another charity that a colleague of mine is a trustee of. 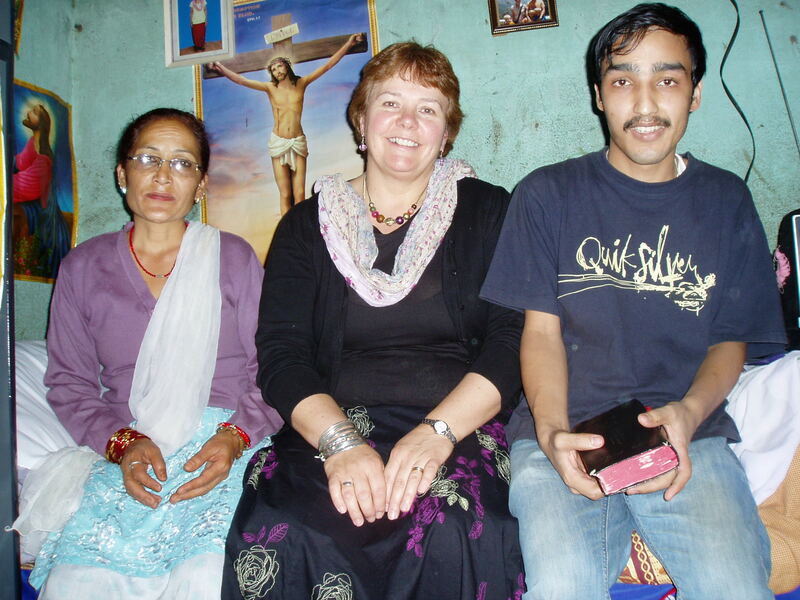 I had been praying & seeking the Lord’s direction as He had laid on my heart the desire to work with a Christian charity in Kathmandu before I went off into the mountains. I came to hear of WWR from a friend of mine who I have not seen for some years, who, along with others in her church, supports WWR. 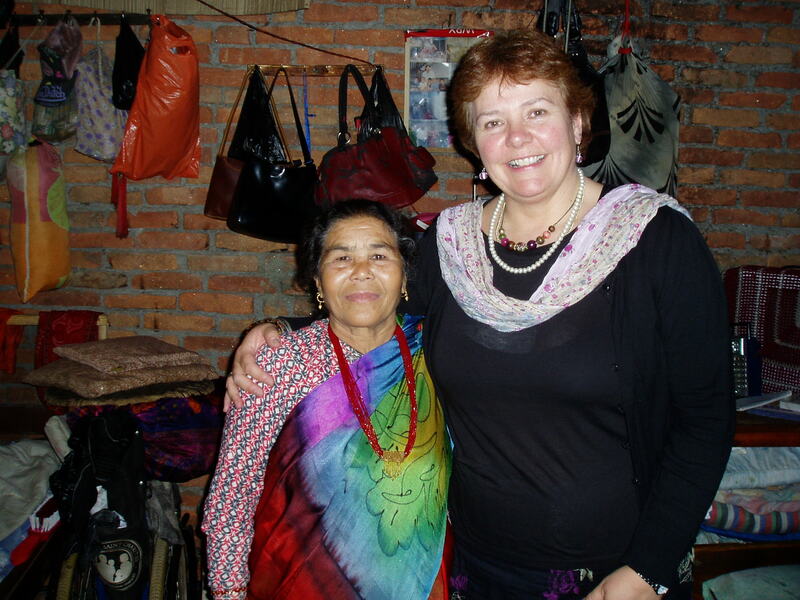 A few weeks before I was flying out to Nepal I contacted Anna Townsend & we started to make plans! 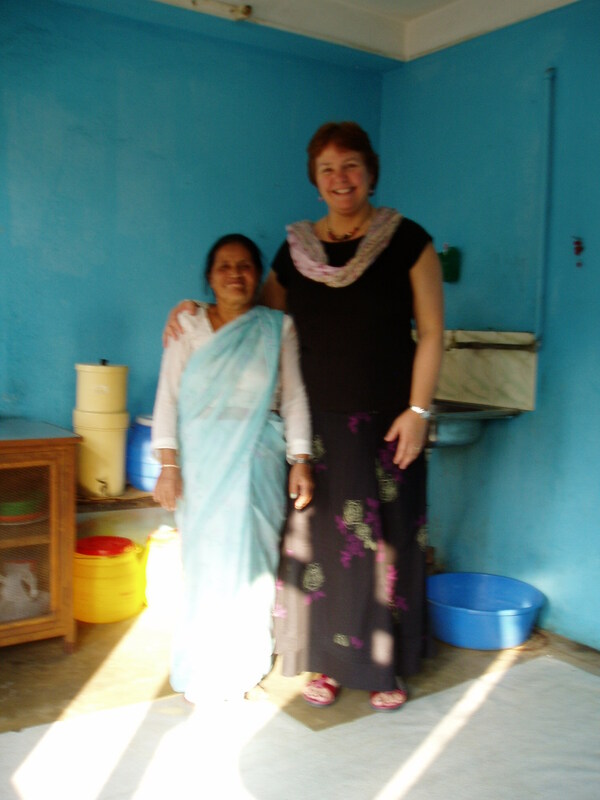 Whilst in Kathmandu I visited many ladies in their own homes whose rent & medical bills are paid for by sponsors of WWR. I travelled around the city on the back of Bina’s scooter – a somewhat hair raising experience at times! 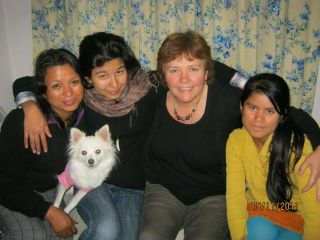 Bina is a wonderful Nepali lady who works for WWR in Nepal. 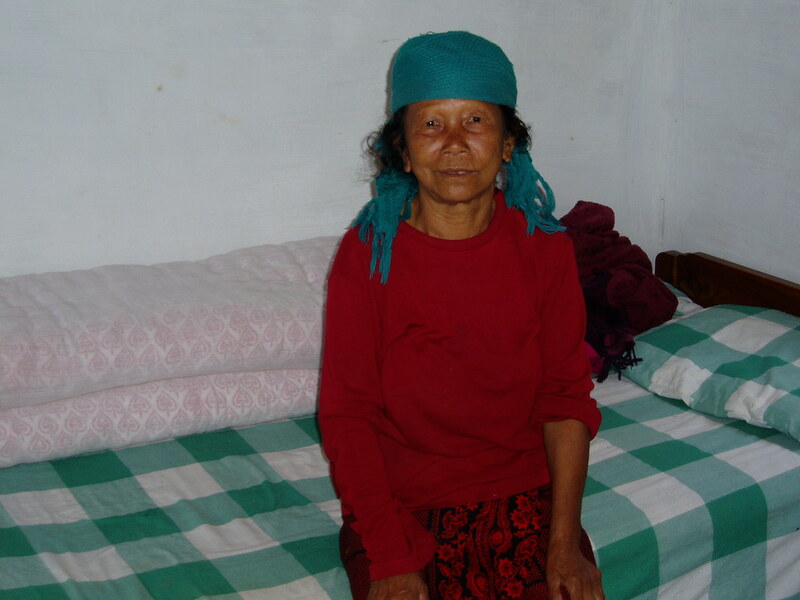 The ladies live in poor standards compared to the UK, but they are all so grateful that through WWR & the generosity of their sponsors, they have the security of knowing their rent is paid & any medical bills will be taken care of. Medical notes in Nepal are written in English & given to the patient, so it was helpful to be able to read their medical history & learn about any relevant condition & recommended medication that I thought Bina should be aware of. I also had the privilege of praying for each of the lady’s individual needs & circumstances. On the Sunday Bina, myself & about 32 ladies squeezed onto a 14 seater bus to travel to Grace Home in the hills on the outskirts of Kathmandu. It was a joy to be in beautiful clean fresh air after the dust & pollution of the city. It was lovely to meet the staff & the ladies who live at Grace Home & we had a wonderful time of fellowship, singing & dancing in their meeting room. I was very moved to see so many ladies who have had such a hard life & who have so little in worldly terms, full of the joy of the Lord, secure in the knowledge that they are heirs to the throne of Grace. I also gave a talk about health & hygeine issues including handwashing, basic first aid, and spotting early signs & symptoms of disease eg meningitis & TB. I had an amazing few days with Bina & the ladies of WWR, & it is wonderful to see what a real difference WWR is making to their lives – the love of Jesus in action. The words from Psalm 68v5 come to mind “A father to the fatherless, a defender of widows is God in his holy dwelling”. I have left part of me behind in Nepal, & pray that, God willing, it will not be too long before I can visit these dear ladies again.